Krsnacandra Dasa – Vrndavan: Why do we in ISKCON place so much emphasis on the living Diksa guru? This is especially so when Vaisnava’s place more emphasis on the siksa guru. The math system that destroyed the Gaudiya Math when the disciples of Bhaktisiddhanta Saraswati appointed themselves living guru/acharyas is non different to how the present ISKCON gurus have appointed themselves as living gurus. 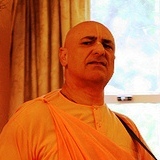 This living diksa guru Math franchise system of ISKCON is not bonafide. When the ISKCON gurus realized that they were not pure and that their god brothers and sisters also knew this, they had to devise a system; a pseudo philosophical justification so that they could be idolized and worshiped in order to attract followers and disciples. 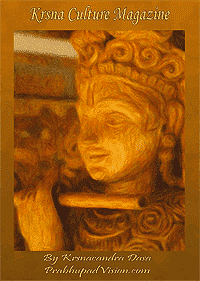 For this they looked to the remnants of the Gaudiya Math. 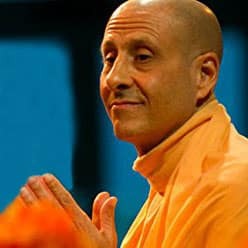 In order for the present GBC and gurus to maintain their ‘perceived’ potency to convert/recruit non devotees and to maintain the recruit’s or follower’s loyalty and service, there has been an escalation in the propagation of the ideology that an ISKCON guru is a ‘divine’ representative of Lord Krsna. This ideology has been largely propagated by the ISKCON Apologist, the gurus themselves and their fan club disciples/followers. This type of false propaganda naturally gives rise to a ‘fan club’ mentality amongst the disciples and followers which has its own momentum in creating the myth of divinity of the guru. There are several variations on the divinity myth that is being propagated by the institution or intentionally allowed to circulate amongst the neophyte devotees, however, no matter which myth is in play, they are all alluding to the gurus being on the same spiritual platform as Srila Prabhupada. This ultimately affords them, in the eyes of their followers, the right to make any changes and engage in any behaviour or activity whether it is; criminally, sexually, materially, philosophically, ethically or morally deviant or not. This is even though there is no sastric or historic basis for this speculation. When this divinity myth is not effective in maintaining their perceived elevated spiritual status, they have resorted to emphasise that the living guru can be on a lesser platform, even as low as a kanistha adhikar devotee. 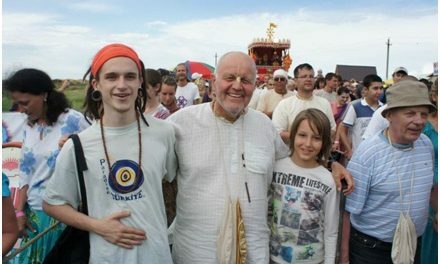 As the living guru concept sweeps through the ranks of ISKCON devotees and the neophyte’s bubble of illusion is burst by the disciples beginning to see that their guru is fake, they usually end up taking the living guru concept and go in search of a living guru outside of the ISKCON family, Srila Prabhupada’s family. 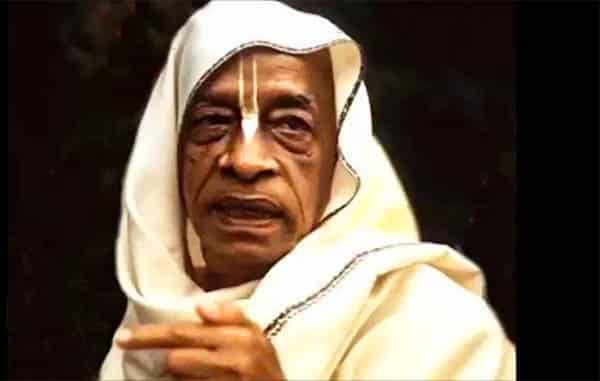 The end result of the living guru pseudo theology of the ISKCON Rubber Stamped Guru is that people lose faith in Srila Prabhupada and leave ISKCON to take re-initiation from gurus outside. One last point to consider with devotees polluted by the living guru myth is that even though they take diksa outside of ISKCON they find that these outside Math gurus do not offer them a place to live and do seva so they end up hanging around ISKCON. Many times they are given service in ISKCON even though they should be serving their own guru Maharaja. 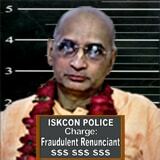 Most of the time when the outside guru leaves their bodies, the ex ISKCON disciple ends up hanging around ISKCON as Srila Prabhupada’s ISKCON is the only practical society to render devotional service that they can have a future.